www.cbf.org > Action Center > Vote for the Bay! 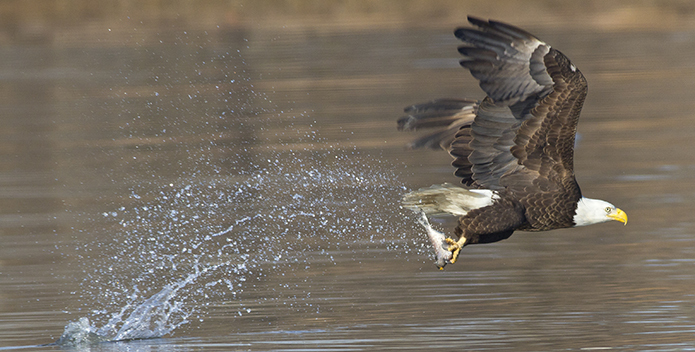 A large bald eagle grabbing a fish on the James River. To save the Bay, participation in our democracy is critical. While candidates are running for elected office, we need to urge them to support policies friendly to clean water. Across the watershed, communities are working hard to reduce pollution from runoff, sewage, and agriculture. But while gains have been made, the recovery is fragile. The Bay and its rivers and streams still have a long way to go to be healthy. Support funding measures that alleviate polluted runoff in our communities. Stop polluted runoff at its source with effective practices to reduce and filter pollution, as well as open space, wildlife corridors, adequate funding for land conservation and, in states that have them, strong forest conservation laws. Fully fund cost-share programs and efforts for farms to adopt best management practices friendly to clean water. Move efforts forward to bring more filters to the watershed through investments in oyster restoration and tree plantings. Adopt comprehensive plans, zoning, and site development rules that protect forests, open space, and water resources, and invest in existing communities. 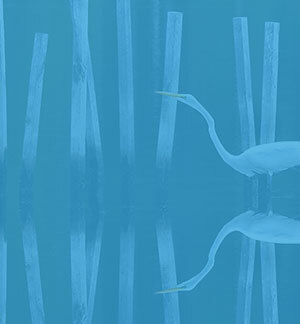 Back the Chesapeake Clean Water Blueprint. Provide leadership that motivates communities to finish the job of restoring the Bay and the rivers and streams which feed it. Publicly report actions taken and insist on transparent and verifiable results. Below, find videos of 2018 candidate forums, as well as resources on all the logistics surrounding voting, including voter registration, election rules, and finding your polling place. All links will open in a new window. The Chesapeake Bay Foundation is a 501(c)(3) tax exempt, not- for- profit, charitable organization. As such we may not, and we do not coordinate with, support, or oppose any candidates for public office or political party. All the links provided above are public information available on state-sponsored government websites. Here at CBF we often say what happens on the land is mirrored in the water. Similarly, what happens in our county council chambers can have a major impact on efforts to restore our waters to health. Local governments have a major role to play in closing the gap. Your local elected officials can take actions to keep the region’s waters and the Chesapeake Bay on the road to recovery. CBF held five candidate forums on the environment in Maryland and one in Virginia to find out what candidates for local office will do to clean up your local rivers and creeks and the Chesapeake Bay. You can watch the video below (no video available for the Baltimore Forum).